Acne is a skin condition that is difficult to treat, irrespective of how you get it. There are several effective acne treatments available currently; however most of them have side effects or their regiments are quite complex. There is no cure for acne. Innovation is very much needed in this area. Our back contains many sebaceous glands that secrete sebum, an oily substance. Sebum mixes with dead skin cells and bacteria, which then can build up in the hair follicles on the back and clog them. A clogged follicle breaks down and forms an acne lesion, which causes back acne. The common term for acne is acne vulgaris or hormonal acne. 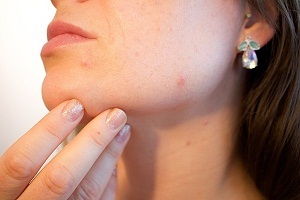 Acne causes skin irritation and pain. It mainly occurs due to excess oil secretion which blocks skin pores. It might develop due to skin infections or hormonal imbalance. Medications should be provided so that the infection might not spread to the uninfected area. Lasers produce intense beam of monochromatic light of narrow wavelength. It can be used to treat acne scars and hyper-pigmentation. 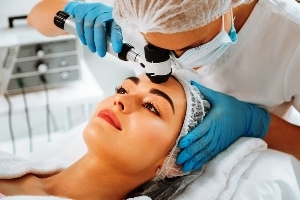 Dermatologists use lasers to destroy specific target areas at specific depths in the skin. 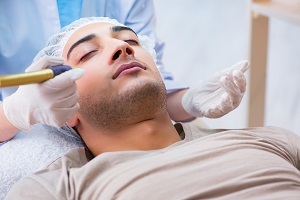 It is a painless procedure and there is no risk of infection as well. 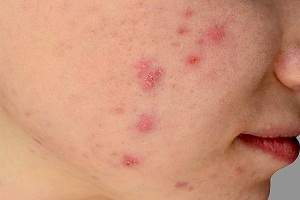 Scars are formed when acne penetrates the skin deeply and damages the tissues. The main cause of scars is the inflamed lesions, such as a papule, pustule, or a cyst. Inflammation occurs when a follicle or pore becomes clogged with excess oil, dead skin cells, and bacteria. Treatment may vary depending on the types of scars.